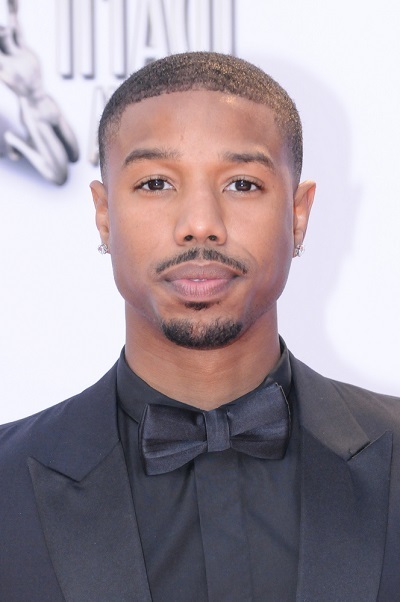 Michael B. Jordan is an American actor. He is known for starring in Fruitvale Station, Creed and, as the villain, in Black Panther. He is the son of Donna (Davis) and Michael Jordan. He is not related to the basketball player of (almost) the same name. He was born in Orange, California, and raised mostly in Newark, New Jersey. His parents are both African-American. I heard his parents are both African from Liberia. But he was born in America. I doubt that. Both his parents appear to be African-American. There are many Africans from the continent who look African American and you would be surprised. I think people have this huge stereotype in there heads about what pure black Africans look like which varies greatly in skin tone amd features. Not to mention Liberia is historically a country that was founded by freed African slaves from America. More people need to study Africa and African American history. He does not look anywhere close to a average Liberian guy, he has different facial features and he’s very lighter-skinned. His mother looks quite watered down. @Andrew google these subsaharan West African black groups below, black tribes and you will see huge variations in skin tone and hair. On a color map only a small portion of the African continent is really jet black, the rest are different shades of brown. Many people have not traveled to Africa and media depicts all black Africans as one color and they are not. LMFAO. Monalisa Chinda has obviously bleached her skin. That is ridiculous. Igbos are on average slightly lighter-skinned than other black folks but not anywhere close to that. I personally know an Igbo man who has lighter skin than her husband. Tuaregs are North Africans nomadic people and Fulani have West Eurasian admixture, that’s why are sometimes lighter-skinned. I doubt you had ever met a Tuareg contingent like I did when I was in elementary school, due to a cultural exchange project.